When you need to add design element in your bedroom illustration, you can check our vector set. 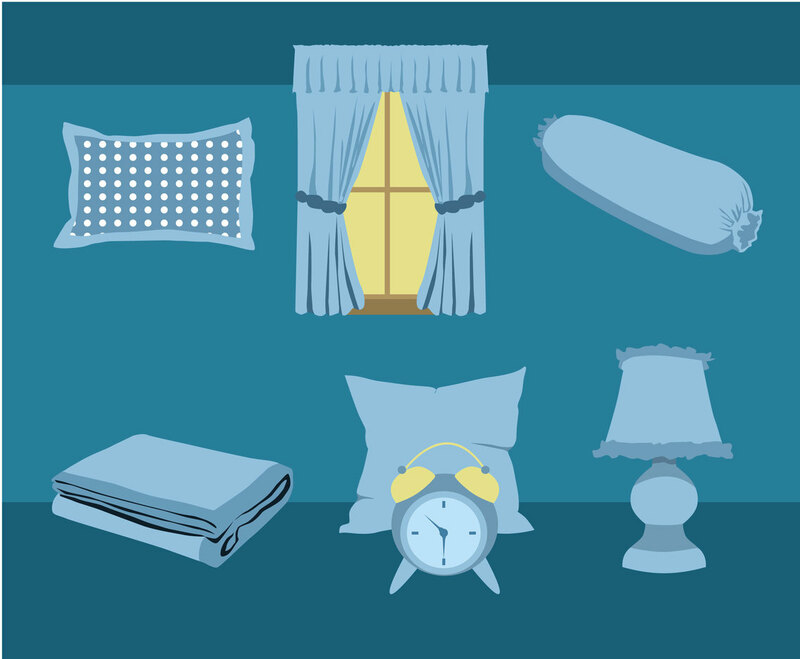 You'll find a pillow, a cushion, a bolster, a blanket, bedroom lamp, alarm clock and bedroom window with curtains. It will surely speed up your work as editing the file is easy and it's free!